If you love no-bake recipes try these Dark Chocolate Pistachio Bars, No Bake Buckeye Peanut Butter Balls, or Reese’s No Bake Peanut Butter Bars today! These are always a hit in my family! I usually have to double the recipe in order to satisfy everyones cravings on these! They are so simple to make and clean up is even better with one bowl! I love making these with my kids in our kitchen. Each of them have an ingredient they love to add, they all take turns passing the bowl around stirring it together and double points for the bonding we have laughing over our silliness. During the one hour of fridge time we love to play a quick game together. It can be I spy, a card game or a bunch of fun word games that are short and sweet. It gets our kids laughing and the bond they have grows even more. After the mixture is chilled, rolling the balls in their hands or using a cookie scoop is their favorite part before devouring them! It has been a go-to snack for our family. They are great for driving from school to activity or sometimes I use them as a quick lunch or snack when I am out and about. You will love the flavor and how filling these little bites can be. 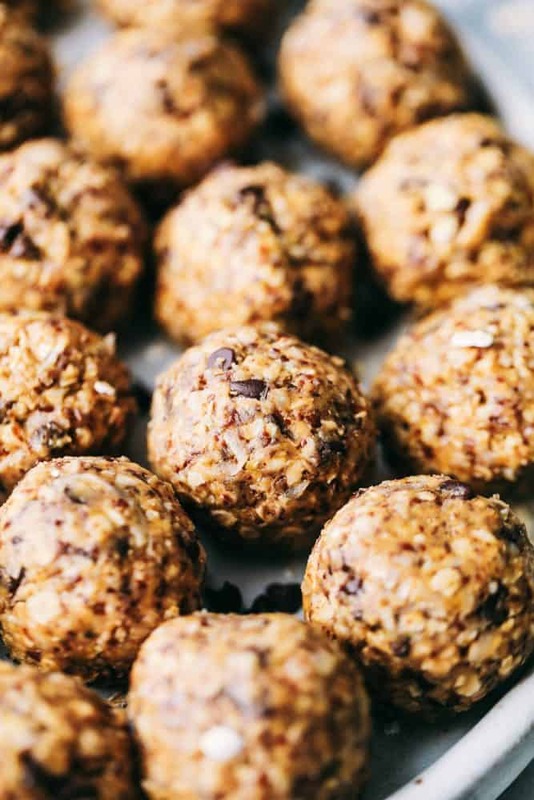 Feel good about what you are snacking on with these quick and easy Energy Bites. 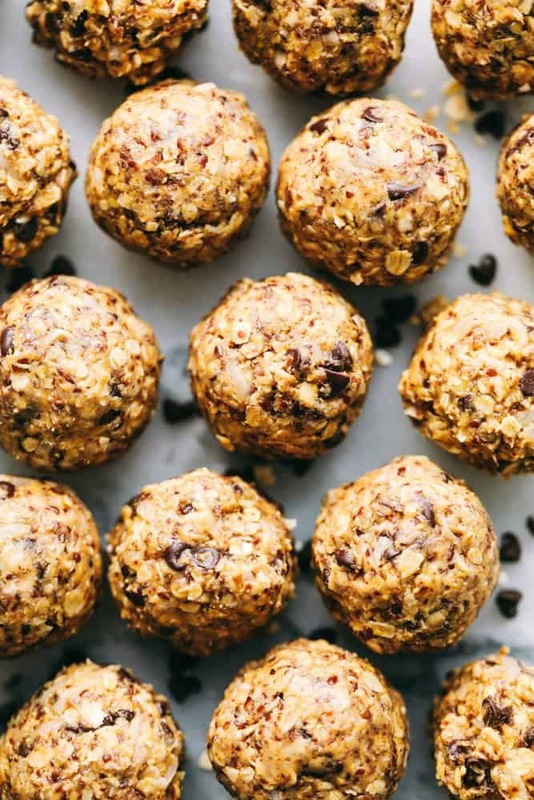 Keep your healthy goals afloat with these fun, pop-able bites. Take them on the go or just have them ready when needed. Great for kids and adults! They are simple to make and disappear just as fast! 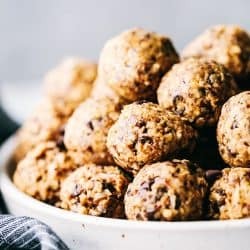 How Do You Make No Bake Energy Bites? What Other Mix-Ins Work Well For Energy Bites? 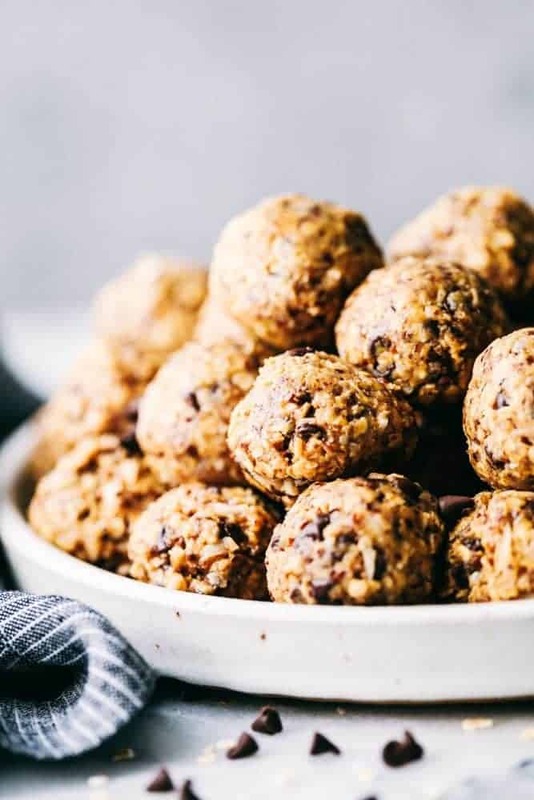 There are several variations of energy bites that are just as delicious! You can make them as simple as 4 ingredients to adding in all the extra flavors or additives you love to make your own. Here are a few substitutions or additions you can make to enhance your energy bites. How Do You Store Energy Bites? Short Term: Placing the energy bites in a zip lock bag or an airtight container is best. They will usually last up to one week being stored at room temperature or two weeks in the refrigerator. Giving each bite room in the air tight container is recommended so they do not stick together. Long Term: Storing them in the freezer will last about two to three months. I recommend before freezing them that you freeze the balls prior to storing them in an airtight container. 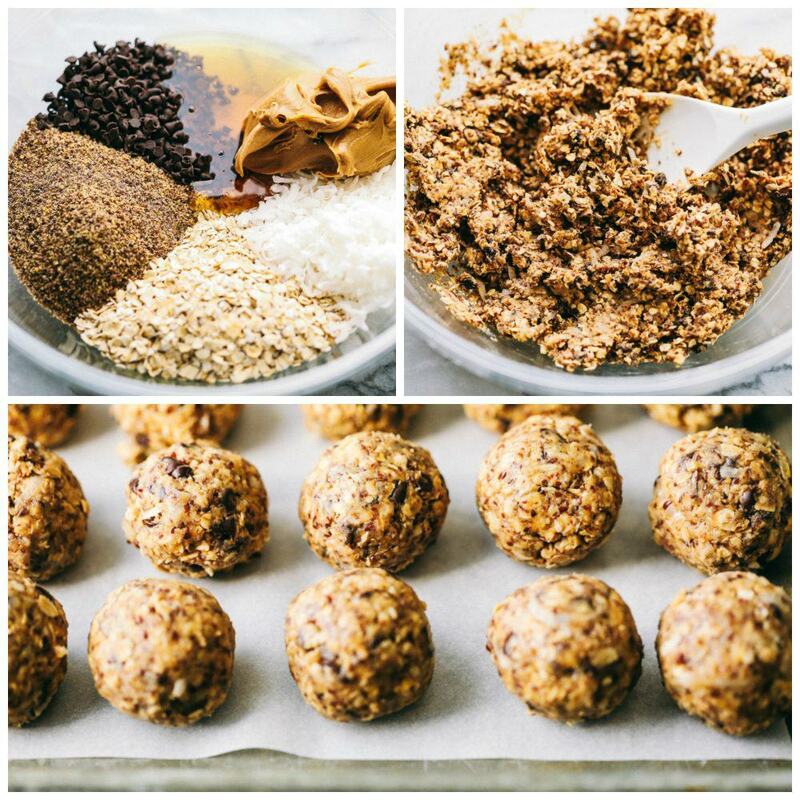 This works best by placing the energy bites on a baking sheet that is covered with parchment paper. Freeze for about 15 to 20 minutes or until firm. This will hold their shape as well as not stick together when being stored for a long period of time. Thawing Process: Place in the refrigerator over night and enjoy the next day! Want More Healthy Recipes? Here are some to choose from! These babies are one of the best snacks that I have found. They are packed with Protein, Omega 3, and Fiber. I am always running out the door to my gym class in the morning and these are perfect to grab on my way out before my workout! 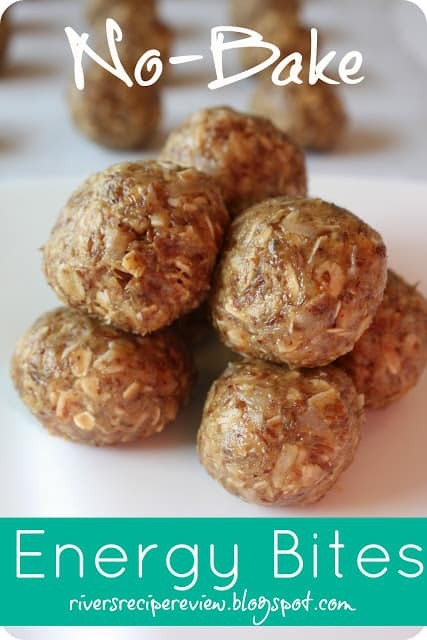 I love that they are no-bake and so easy to make. I doubled the recipe so that I could keep some in the fridge for when I need them! My kids loved them too! These would also make a great after school snack!